Tip 1: Book an early flight and save on cash. But you don’t have to drive across town in the early hours, get your car parked for the week (or more) and then get yourself to the check-in on time. Instead, explore the options for “park and fly” and stay the night before and after in accommodation less than 5 minutes from the airport. If you’re flying out of Christchurch International Airport, Airport Gateway Hotel offers a number of park and fly options, including free parking if you stay the night before and the night after your trip with us. That means you can get the red eye in the morning, and the last flight back at night – sleep with us then get on your way refreshed in the morning. 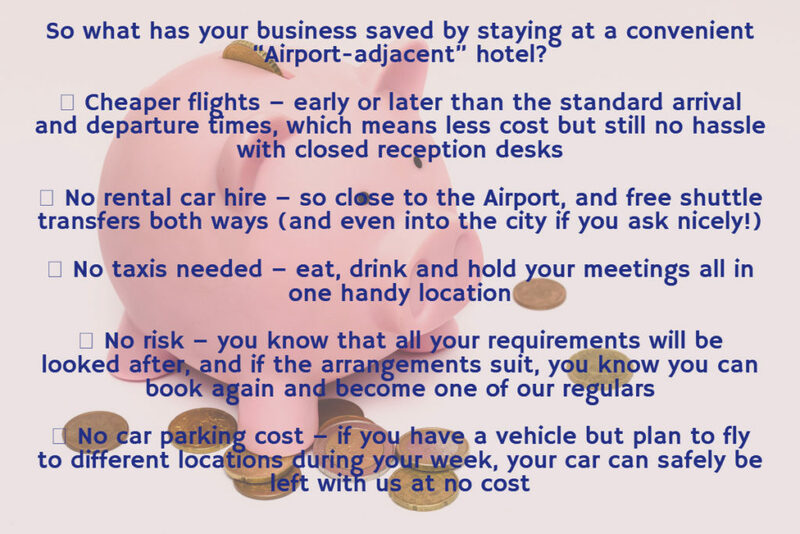 Use your accommodation as the hub for your business if you are regularly travelling to look after clients in Christchurch. Making sure you have access to a practical desk space, great (free) wifi and access to meeting rooms that are conveniently close to the Airport if you have anyone flying in for appointments with you makes your working week so much easier. It helps when great food and beverage facilities are also onsite, so you can carry on working uninterrupted. Airport Gateway offers all of the above – and we are delighted to work with our regular business travelling guests to ensure everything meets your requirements – just give us a call, or book online right here on our website. If you need to see clients all around Canterbury, or even further afield, staying in one location close to the Airport is a great strategy. Christchurch is effectively the centre of the South Island and makes the perfect base, so you can fly to those further away locations and back easily within the day. Choose accommodation you can use as a base where you can set up a display of product samples or even a seminar or demonstration and invite customers to book appointments throughout the day when it suits them. You stay put and your clients come to you. Talk to our reception team about booking our small or large meeting rooms – depending on how much you have to set up. We can also provide catering and drinks for your clients, to ensure everyone is kept happy and well refreshed. So you can fly or drive into Christchurch, get settled in, get your space set up and then simply walk back to your room once the day is done. If you want to socialise with clients or colleagues at the end of the day, our onsite restaurant and bar is the perfect spot – and you don’t even have to taxi or Uber home after a few drinks! Making the most of facilities available enables you to cut those extra costs when you stay to do business in Christchurch. Our shuttle will pick you up from the Airport any time day or night, you can do your check-in while in the van and head straight to your room on arrival. Perfect if you are arriving late at night or early in the morning for a day of meetings.